Epiroc’s Hydraulic Attachment Tools division has been a technology leader for more than 50 years. It has recently split from Atlas Copco to become a company in its own right, focusing on customers involved in mining, infrastructure and natural resources. 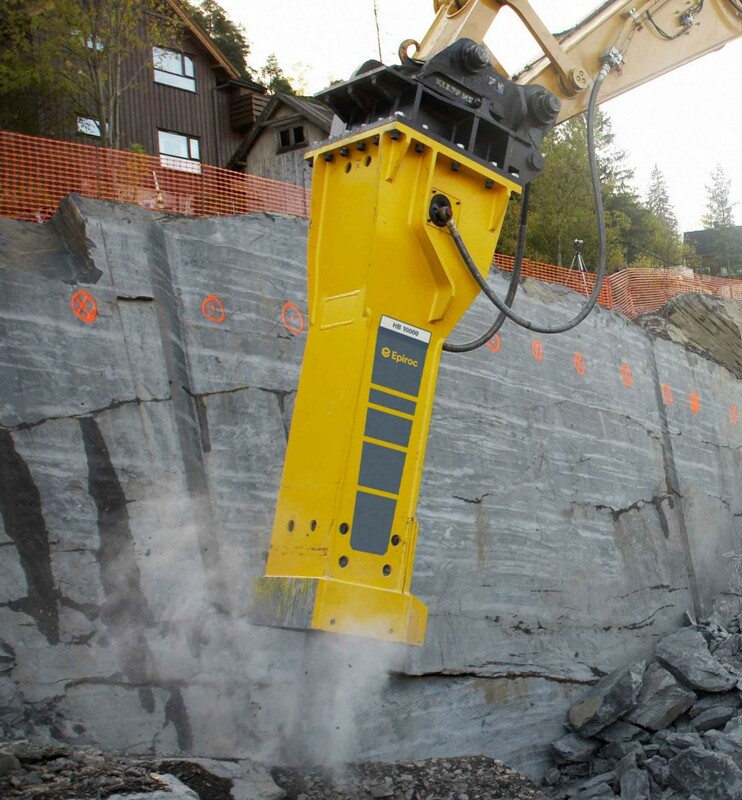 Epiroc will continue to develop and manufacture the existing range of hydraulic breakers, bucket crushers, compactors, cutters, pulverizers, shears, grapples and magnets. The product range includes 100 different hydraulic attachment tools, and is designed to ensure that customers can always find the right tool for their application and excavator. Among others, the division manufacturers the HB 10000, the largest serial hydraulic breaker int he world – every punch equals the weight of 130 elephants. With access to Epiroc’s genuine parts and technical product training, Ernest Doe’s highly skilled, knowledgeable and well-equipped team is able to fully support new and existing Epiroc customers with a comprehensive parts and service solution. Epiroc gives you everything you want from a hydraulic breaker: high efficiency and performance, low noise and vibration. Epiroc introduced the innovative hydraulic breaker 50 years ago and it transformed the construction and mining industry.